The cluster bar chart below shows the estimated prevalence of diabetes in different global regions in 1980 and 2014. In addition, a data row is used to show the estimated number of people with diabetes. The prevalence rates have increased drastically over the time period. 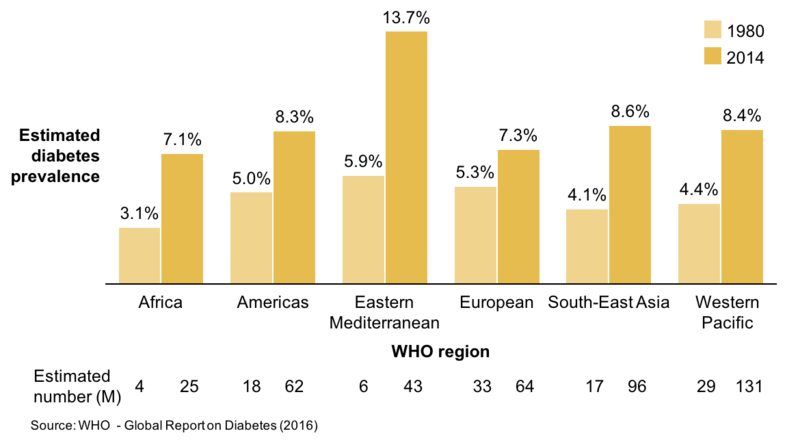 The data from the World Health Organization’s 2016 Global Report on Diabetes. This chart was built using the Aploris charts add-in for PowerPoint Mac 2016. 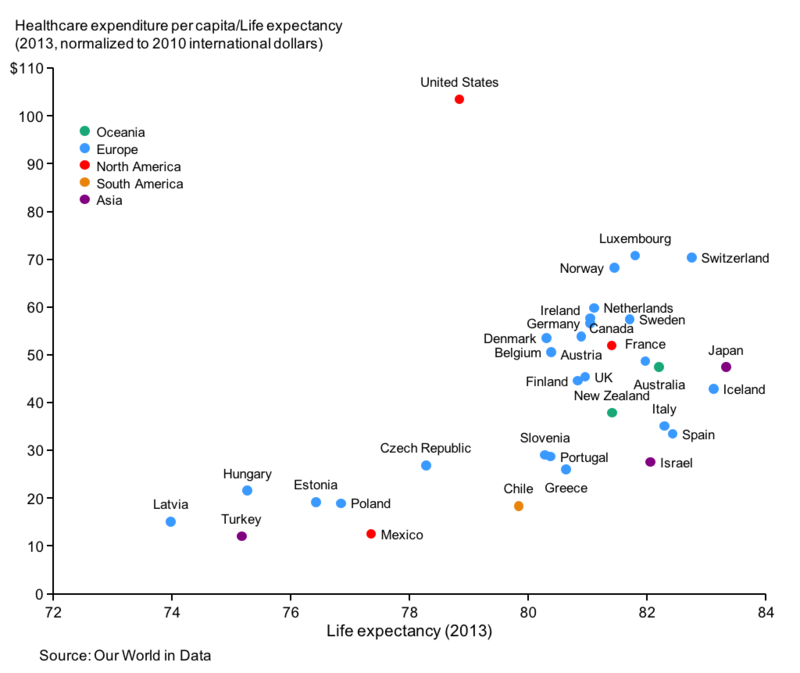 This entry was posted in Bar chart and tagged Food, Global, Healthcare by Aploris. The bar chart below shows the glycemic load (GL) for some common foods. GL measures the quality (glycemic index) and quantity of a carbohydrate in a meal. In addition, a data row is used to show the glycemic index and serving size. The foods are organized in categories and sorted from highest to lowest GL within each category. This chart was built using the Aploris add-in. Aploris integrates with PowerPoint on PCs and Macs to help users quickly make a variety of business charts. This entry was posted in Bar chart and tagged Food, Healthcare by Aploris.